The Philadelphia community continues to resist our own municipal utility’s desires to extend their customer base for fracked gas. You can learn more at 350philly.org/NoLNG. The below is testimony of 3 residents opposing PGW’s proposed LNG facility, on March 28th 2019. Pat Libbey made an interesting, and timely, connection between children, Easter, and pollution. My name is Abigail Leedy, I’m 17 years old, and I’m a senior at Central high school. I’m here today to represent the Youth Climate Strike, and all the youth in Philadelphia who both care deeply about this issue and who will be affected by your vote, but do not have the privilege that allows them to attend meetings and hearings that are held exclusively during school hours. On March 15th, 1.4 million young people worldwide went on strike for climate, including hundreds in Philadelphia, right outside this building. I’m here today to share some of our official demands with you. The youth climate strike demands a halt in any and all fossil fuel infrastructure projects. We hold that fossil fuel infrastructure disproportionately negatively impacts communities of color, and that creating new fossil fuel infrastructure will create new reliance on fossil fuels at a time of urgency, when we should be doing all we can to decrease our emissions in line with what science and justice demand. Similarly, we also demand that all decisions made by our government be based on the best-available and most-current scientific research. The UN’s intergovernmental Panel on Climate Change has said that as a society, we need to reduce greenhouse gas emissions by at least 50% by 2030, and by 100% before 2050. I’m going to assume that you all knew that already, and that you understand how important it is to keep it in mind while you create policy. The proposed LNG gas plant is a liquified natural gas plant, and I was taught in my public school that plants like it were good because they were not coal. The fact is that extracting natural gas releases massive amounts of methane, an incredibly damaging greenhouse gas. The fact is that natural gas plants do still release carbon dioxide and other greenhouse gasses, the kind of which we should be doing all we can to eliminate. The fact is that they release massive amounts of nitrogen oxides, which have been shown to cause asthma and other life-threatening respiratory problems, especially in young people. What do we think happens when we knowingly give our most vulnerable populations asthma and then send them off to spend their days in public schools with no nurses? 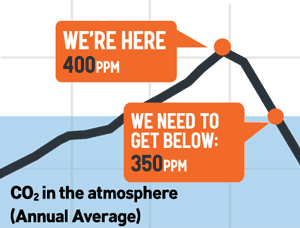 When we release even more carbon and methane and climate destroying gasses into the air? Is it somehow okay because it’s caused by natural gas, and not coal or something worse? I’m here today because “better than coal” is not a metric we have the luxury to use any more. We cannot say that poisoning our children and communities and releasing the greenhouse gasses that continue to create climate crisis is okay because we could hypothetically be killing people faster. The fact is that the young people of Philadelphia will spend much longer breathing this air than you will. The air you create now- the air you vote to contaminate or not- is the air we will have to breathe for the rest of our lives. The damage you will cause if you vote to approve the LNG gas plant is damage that will be felt most by the people too young to vote you in or out of office. The fact is that beyond just our air, the consequences of burning fossil fuels are the consequences we will live with for the rest of our lives. The fact is that every fossil fuel project, natural gas or otherwise, that this council approves will create dire, life-threatening, family- and community-destroying consequences that we will live with for the rest of our lives. That I will live with for the rest of my life. Plants like this LNG project don’t just poison our air. They created and continue to exacerbate the climate crisis. Plants like LNG are the climate crisis. You can do something. You have a choice. I know it’s hard to see it, but the climate crisis–the floods, the droughts, the hurricanes, the fires, the poisoned air and water, the unlivable future, the destruction that will follow me for the rest of my life–it starts with votes like this one. It starts with people saying that it’s easier to stick with small, incremental change, that natural gas is probably okay, that it’s just one small plant in one corner of one city, that’s cheaper, or that the lobbyists pushing for it are convincing and have deep pockets, with ignoring the science because it’s convenient. It starts with legislators elected to serve the interests of the people serving the interests of the fossil fuel industry instead, even if at the time it feels like a small concession. The climate crisis starts with votes like this one. It starts with you. I stand with the Youth Climate Strike and young people everywhere in asking- in begging- you to rise to the occasion, to rise to what science and justice demand, and to vote against the LNG gas plant. Thank you. Posted on April 1, 2019 April 1, 2019 by meenalPosted in LNGTagged Abby Leedy, Central High School, Green New Deal, Nicole Karsch, Pat Libbey, Youth Climate Strike.